Product #22196 | SKU 35HDBAU | 0.0 (no ratings yet) Thanks for your rating! 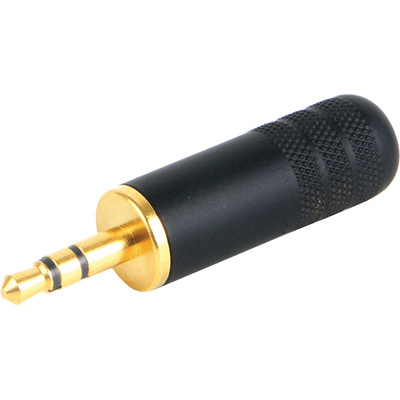 Switchcraft's 3.5mm (1/8" Mini) Stereo Plug 0.290" Cable Diameter (Black Handle, Gold Finger) is a 3.5mm plug with an insert moulded plug finger. It has a longer cable clamp and larger solder terminals for easier plug assembly and more room for solder connections. It also has a longer handle for improved gripping surface and easy plug withdrawl from jack.